Anyone wishing to purchase a quilt, or commission a quilt, please contact me by email. 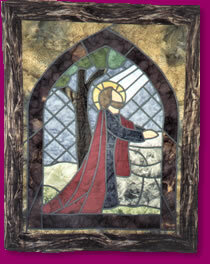 I may be contacted to do special pieces for Baptism, First Communion, Confirmation and Marriage. Hand appliquéd, machine appliquéd and embroidered. 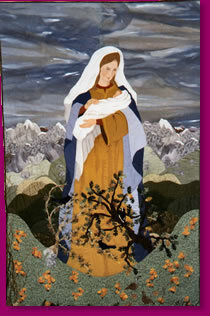 This piece depicts Mary with the Sierra range and foothills behind her. There are branches of oak and pine in front of her and she is surrounded by various wildlife native to the area. 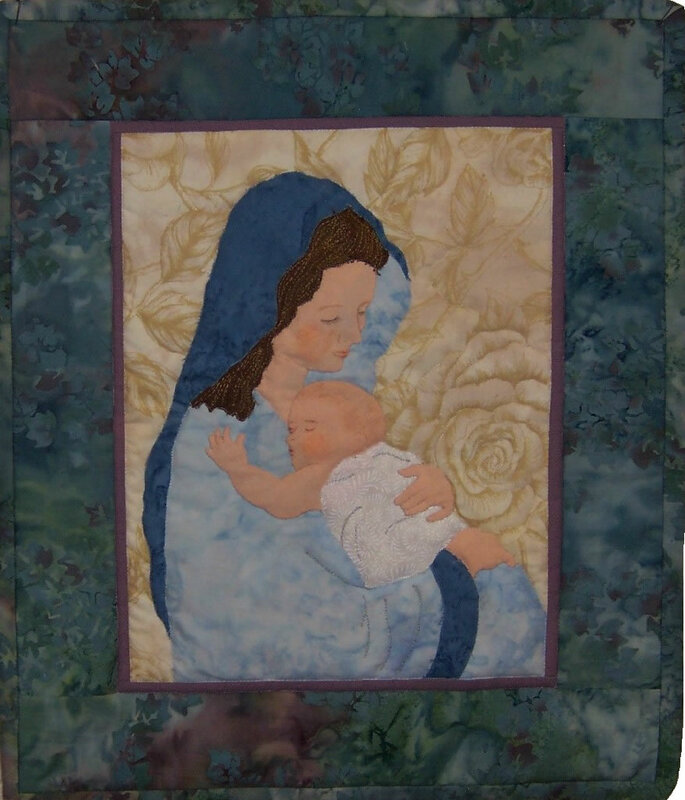 This quilt is done in hand and soft edge appliqué. I like to combine the soft edge appliqué which leaves the edges a bit fuzzy with the hand appliqué it give a great effect especially if the distance is done in the soft edge appliqué. 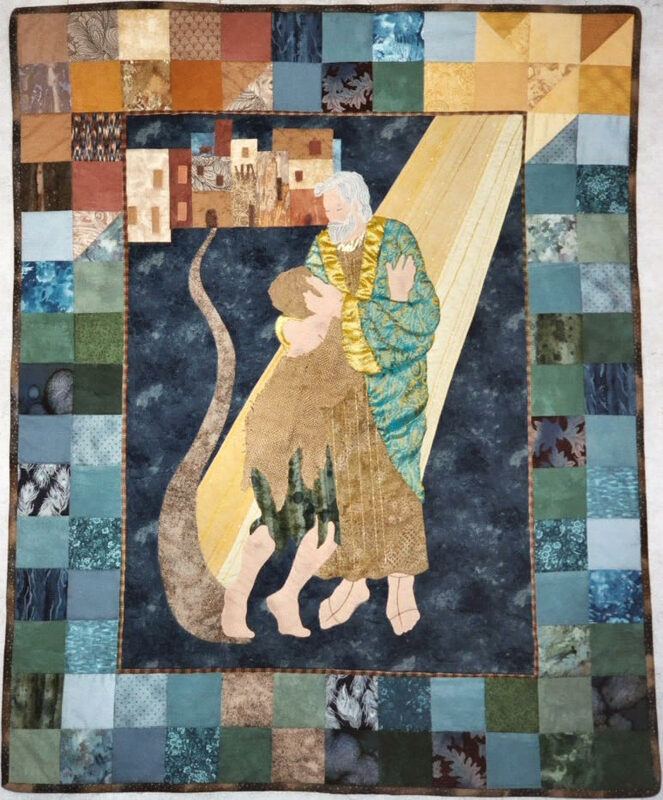 This piece was hand and machine quilted. The California poppies are three dimensional, using a folding method inspired by origami. Hangs in the church Our Lady of the Sierra in Oakhurst, California. Hand and soft edge appliqué. 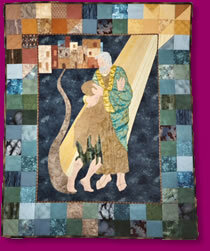 Inspired by the scripture of the prodigal son and a small picture. 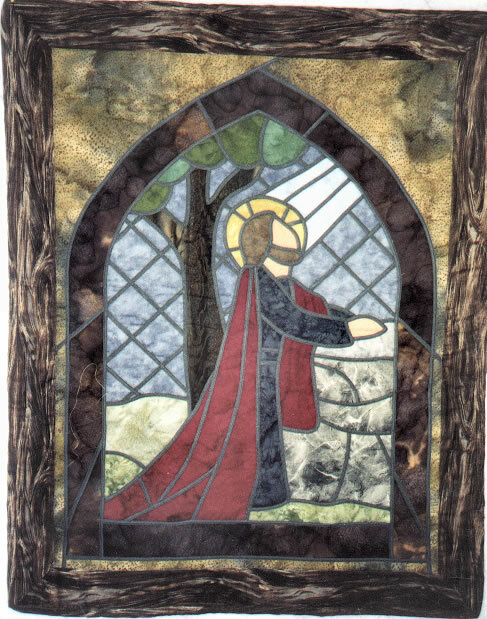 This is done in the stained glass technique, using bias tape for the leading and batik fabric for the glass. Great challenge to make this come together and look like a stained glass window. This was a special order. Hand appliquéd, soft appliqué and embroidered. 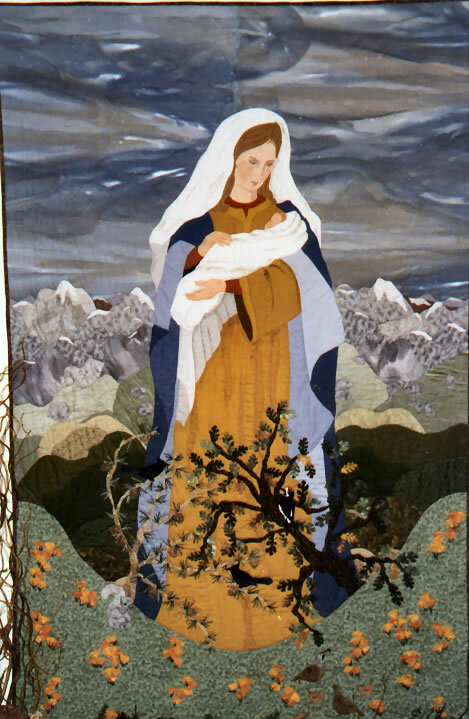 Made for Reverend Kate Braestrup, as seen in the August 2007 issue of Oprah magazine. 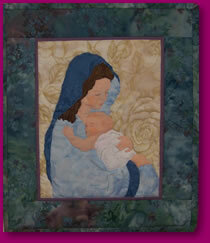 Copyright © 2004 - 2012 Angel's Roost Quilts. All Rights Reserved.